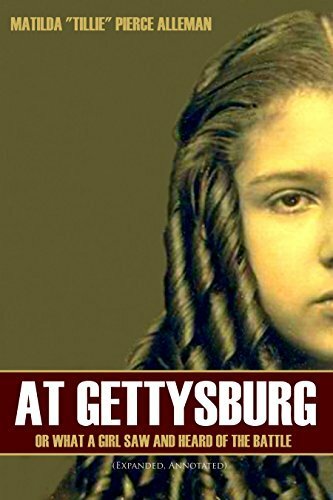 Long considered one of the most vibrant and compelling accounts of the battle of Gettysburg by a young resident of the town. Fifteen year old Matilda “Tillie” Pierce saw Union general Buford enter town with his cavalry, saw the rout of the first day of fighting, and the Confederates streaming through the town. She gave water to many Union soldiers, including General George Gordon Meade, the new commander of the Army of the Potomac.